You may have noticed it with your own business, and you will almost certainly have noticed it when searching online for other businesses. We estimate that Google reviews are accelerating at a factor of between 1.5 and 3 a year. As many of you know, we carry out audits on every business we meet - simply to understand their current exposure to - and engagement with - reviews. 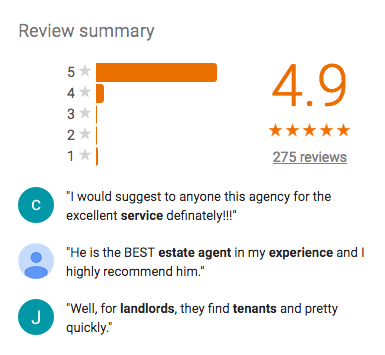 Just this week we have encountered two businesses, one in recruitment and one in estate agency, where the number of Google reviews has gone - in the last 12 months - from 91 to 263 and 29 to 86 respectively. Take a minute to read this review - it would be harmful if it were one amongst dozens, but it was the first review written about this business, and remained the only review of the business until a potential client mentioned that they had seen it. Now this business has many reviews from happy customers, but wouldn't life have been a whole lot less stressful for them if they had formulated a review management strategy before this review had been posted? At the very least conduct a search on your business once a week to see your business as those searching on Google see it. 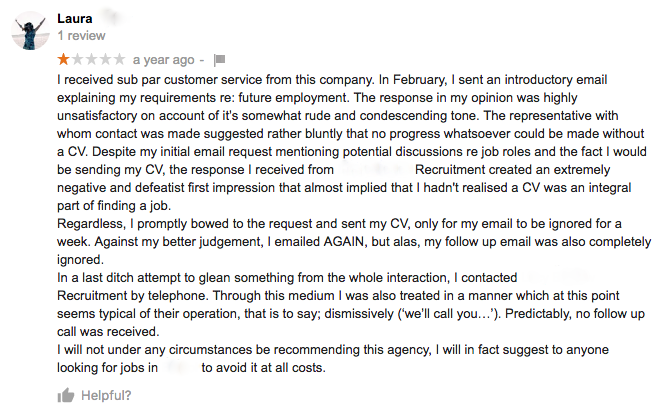 Then we begin to see that businesses need to find a proactive strategy with regard to reviews. Today a business with twenty reviews looks good (as long as the reviews and resulting score are positive, of course). 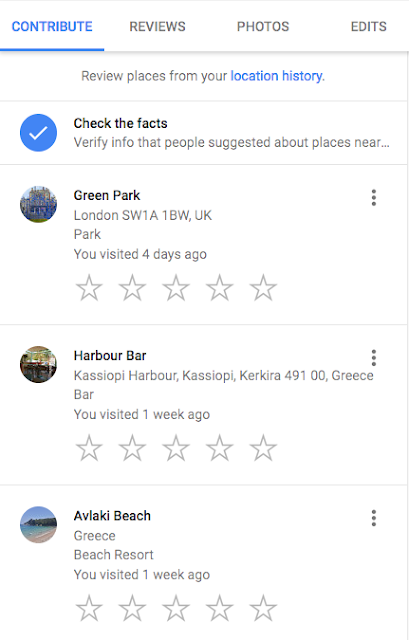 A business currently has a score of 3.0 from 10 reviews. How many five star reviews to get that score up to 4.0 (and therefore pass the filter)? Answer: 10 (and no 4, 3, 2 or 1 stars meanwhile!). But a score of 3.0 from 100 reviews? The business will need a hundred five star reviews. And so on upwards. And that's only to get to 4.0; to really impress consumers your business should look to be scoring at least 4.5. You do the maths. One day your business is going to have this many reviews - and only proactive review management is going to ensure that your score is a fair and accurate representation of the service you provide. Engage - and engage before your business finds that it is failing the Filter or, worse still - and we have seen this on more than one occasion - the phone stops ringing. Estate Agents: What a half-year that was! Reviews: How far behind can you afford to fall?